Since 2009, Open Government Data initiatives have been launched worldwide and the concept of open data is gaining momentum. Open data are often associated with realizing ambitions, such as a more transparent and efficient government, solving societal problems and increased economic value. There has been ample literature describing the (potential) benefits of open data. However, to switch to an open data policy may pose a challenge to the business model of National Mapping & Cadastral Agencies (NMCAs), especially if they are required to generate sufficient revenue to cover a substantial part of their operating costs. This research aims to assess the effects of open data policies on the business models of NMCAs and which adaptations have been made to cope with revenue losses due to open data supply. In March and April 2017, we surveyed European NMCAs to find out which strategies NMCAs employ to be able to (re)finance operational costs and to ensure long-term sustainability of (open) data. 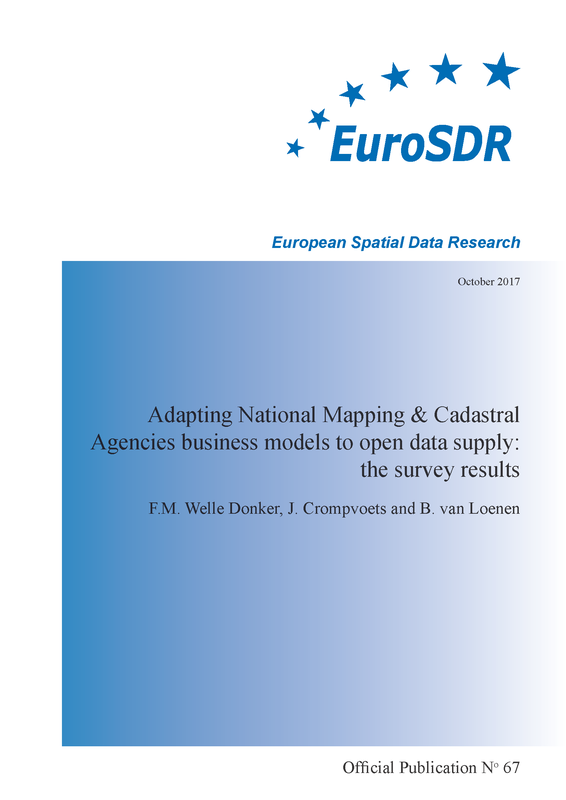 This report provides the initial outcomes of the survey and will provide an input for a workshop on Sustainable Open Data Business Models for NMCAs, to be held 18-19 September 2017 in Delft, The Netherlands. This workshop will bring together the NMCAs to present and share their experiences of open data and discuss the research results with representatives of academia.